Gary purchased Chester when he was 6 months old and at the ripe old age of 9 months old he packed his bags, hopped onto a truck and moved up to sunny Queensland. From the day he stepped off the truck, nothing was a problem for him; grooming, rugging, filing his feet, filing his teeth, worming, branding and eventually on to being broken in. 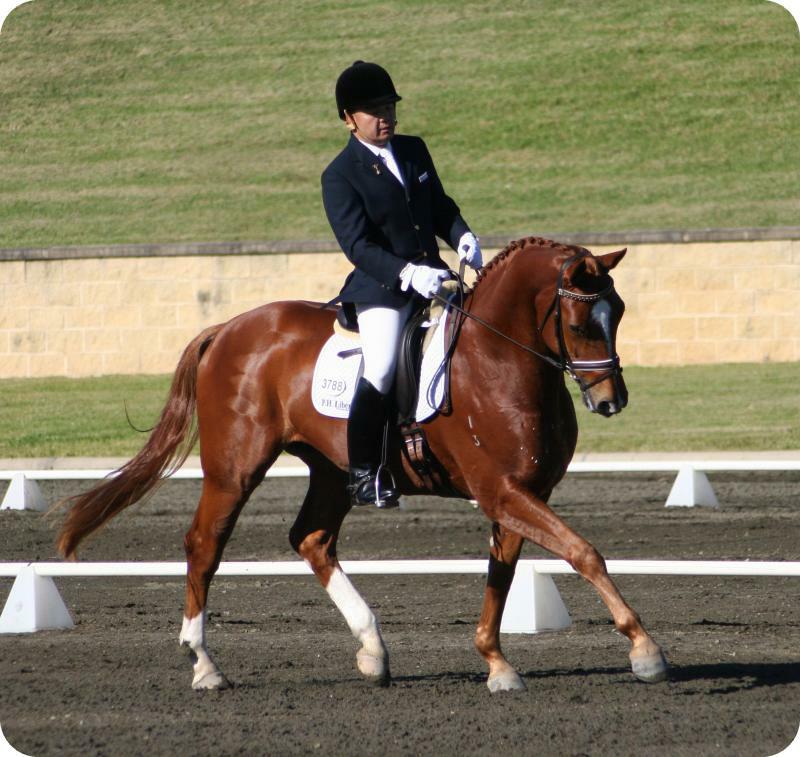 Chester was bred by Glennis and Simon Barrey on their property “Glennbarrey Stud and Training Centre” in The Oaks in New South Wales. 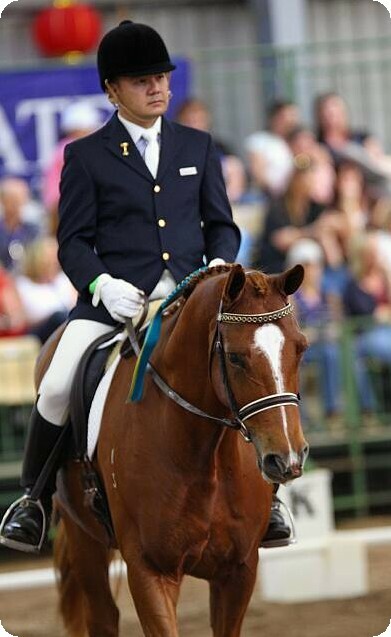 GB Saffron has numerous wins and placings to her name and she is still remembered in the dressage world at a national level for her extravagant movement. 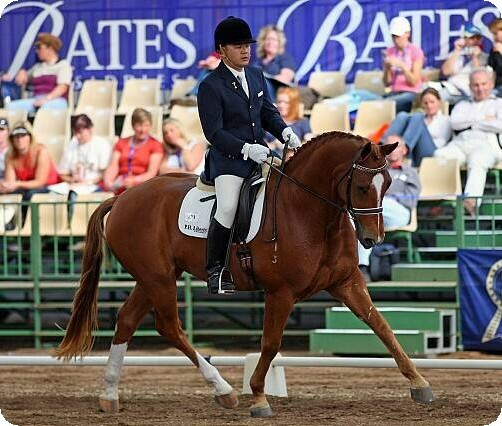 The combination of “Weltmeyer” and “GB Saffron” had to produce a horse bred for dressage and this is the case in Chester. Chester is a full brother to “GB William” who is winning nationally at novice/elementary level. 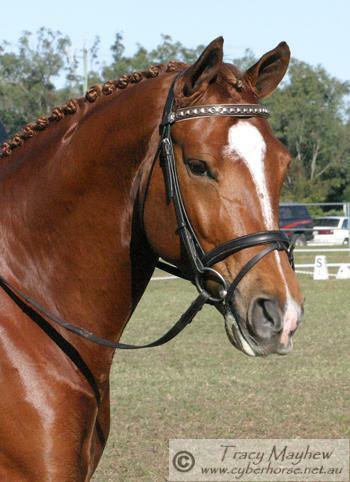 Chester started his competition career early 2007 and on his 3rd outing, he won Champion 4 Year Old Young Horse at the NADEC South East Queensland Dressage Championship with an overall score of 8.2 (out of 10). 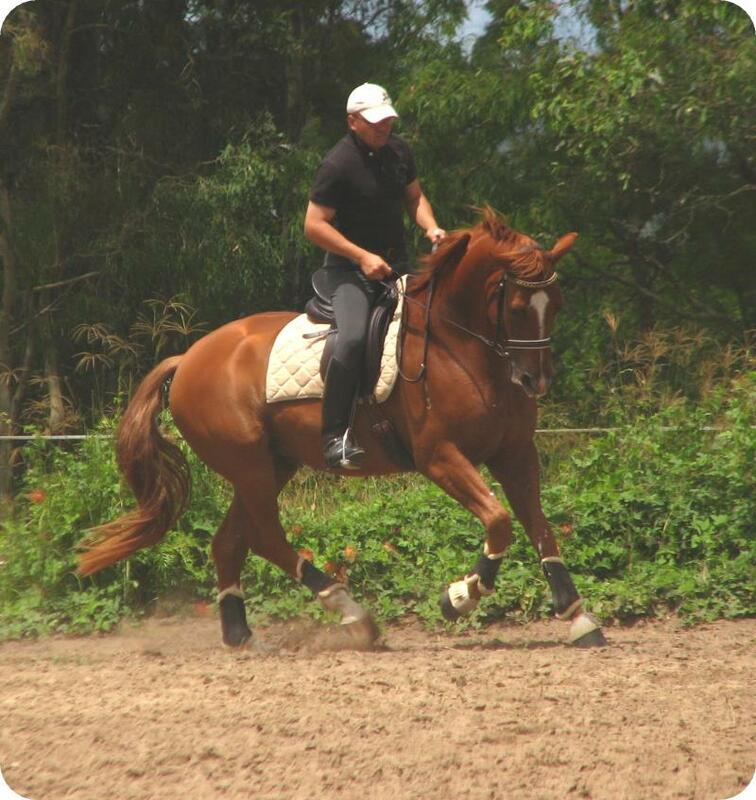 Gary told us that he enjoys each day with Chester; he is a dream to handle and loves riding him. Gary loves the trainability that Chester possesses who never forgets what he has been taught. You will often hear Gary saying “this horse has been “here” before – he takes everything in his stride and nothing phases him”. 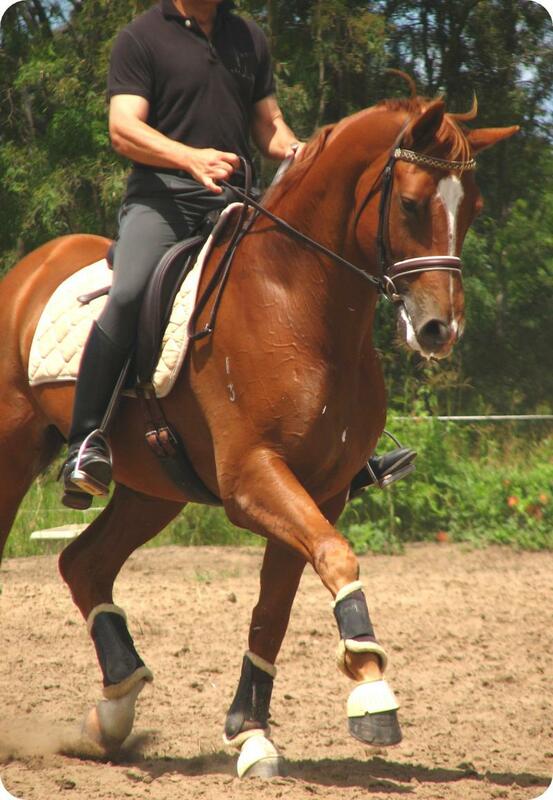 Chester’s assets would have to be his trainable mind closely followed by his pure paces destined for FEI.